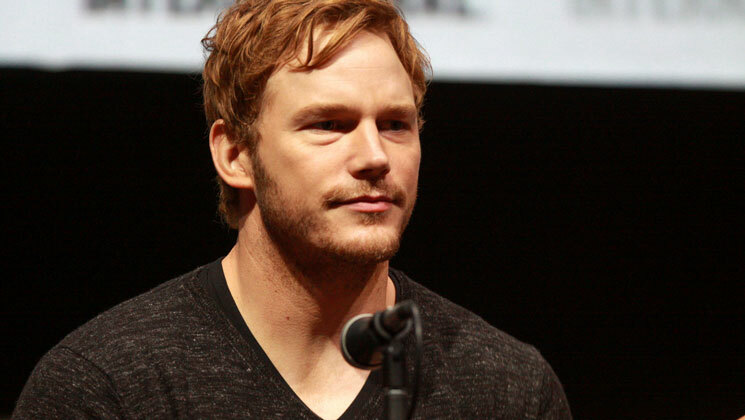 Chris Pratt, an actor you might have seen on the NBC sitcom “Parks and Recreation” or the 2015 movie “Jurasic World” has been poking vegans in uncomfortable spots for years now. “Look at all this glorious food! We will eat off him for a month. His wool is becoming yarn as we speak. He lived a very good life. He was groomed and shorn, his hooves medicated, dewormed, no antibiotics necessary …,” Pratt said on Instagram alongside a photo of beautifully butchered meat. Some called Pratt a “murderer” and worse, and some supported him. Pratt, of course, told us last year that for 2017 he was only going to eat meat he actually killed himself. Well, he said that and gave himself some outs. He did this with photos of him cutting up a deer. As we noted previously here, that’s hardly a steadfast New Years’ declaration from Pratt, but what’s interesting is the Paleo diet trend is splitting the anti-hunting crowd into pieces. If organic vegetables and grass-fed beef is better for us than food produced with chemicals, antibiotics and more, then wild game is the next level of healthy. A lot of people have come to that very conclusion. Paleo magazine is an interesting example of this trend. I am a subscriber, as I also almost exclusively eat wild game and locally raised vegetables. Mostly because it tastes so good. Still, like Pratt, I give myself reasonable exceptions. What’s interesting about Paleo is its point of view. A decade ago it would have read as if it was put out by two different editors with wildly opposing points of view: a strict vegan and an unapologetic, red-meat-eating hunter. Paleo magazine makes no apologies for meat consumption, but then it goes overboard on the humane treatment of farm animals. It preaches climate-change fanaticism, has columns about meditation and calls the Paleo diet a “plant-based” diet with meat, but then adds a “Beginner’s Guide to Turkey Hunting” and tasty recipes with meats to the editorial mix. Not long ago it would have been crazy for those points of view to be found between the covers of the same magazine. Now it’s hip. Pratt’s and Paleo’s point of view are not outliers in the “green” movement. They aren’t even just fissures running through vegetarianism. They are a dose of realism—how many can really stay completely vegetarian? They also represent a big next step in the pop-culture evolution of what is really healthy and sustainable. Hunting is being accepted into the green movement by an increasing number of people as an eco-friendly activity and as the boon to the natural world we’ve long known it is. This is being done by the reasonable majority, the big section of America that might not hunt but that isn’t opposed to hunting. Hunters aren’t yet cool, according to much of the Hollywood set and with the mainstream media, but the trend is actually moving in that direction. I feel that way too, as I think many Americans do. That’s another thing our too-often polarized mainstream media doesn’t get.